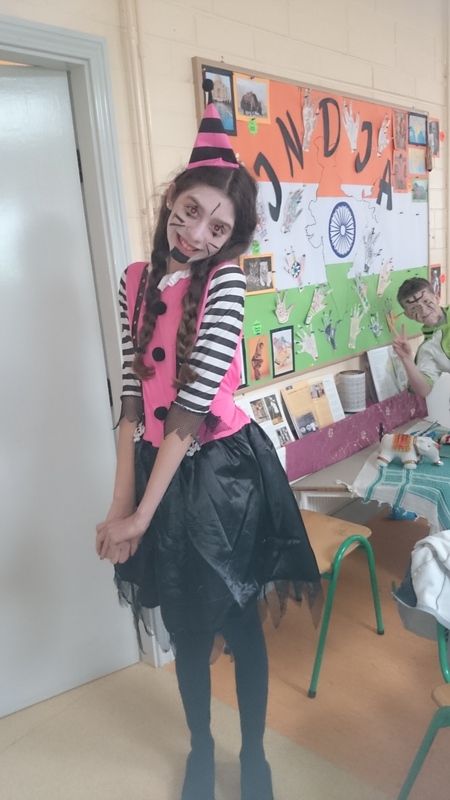 Winner of the scariest costume in 6th class. Well done!! 6th class reciting An Fear Bocht and performing ‘An Haka Ghaelach’. Thanks to Mr. Fleming for all his hard work in preparing the kids ahead of today’s performance. We will all miss him in rang a sé and we wish him all the best for the future.